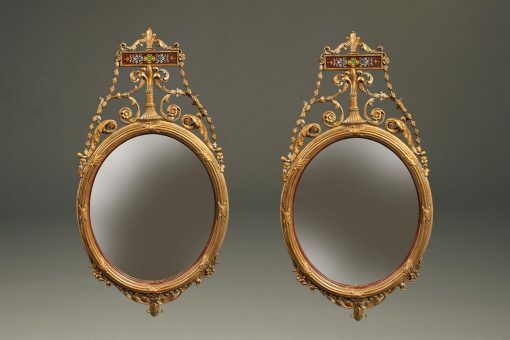 Antique pair of oval Adams style mirrors with delicate gilded carvings.Antique pair of oval Adams style mirrors with delicate gilded carvings. 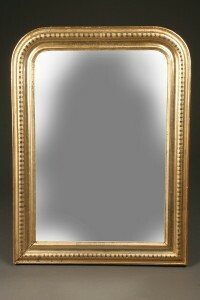 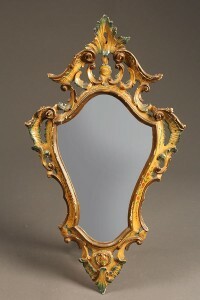 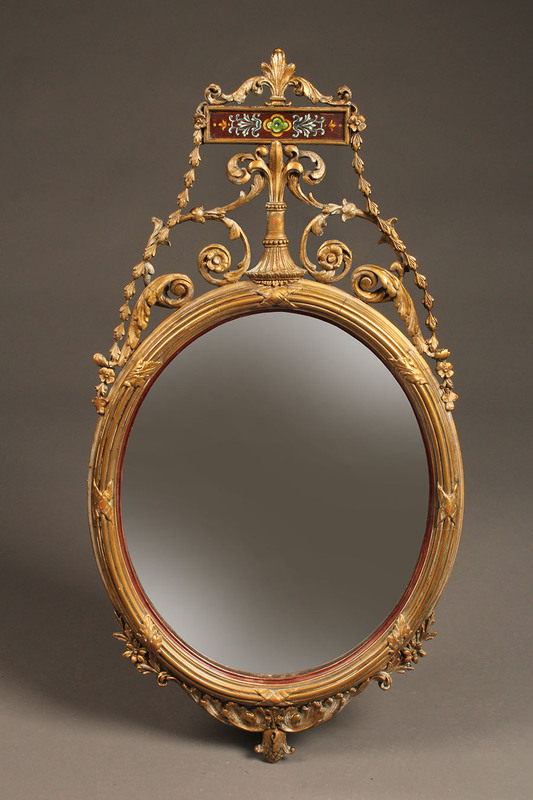 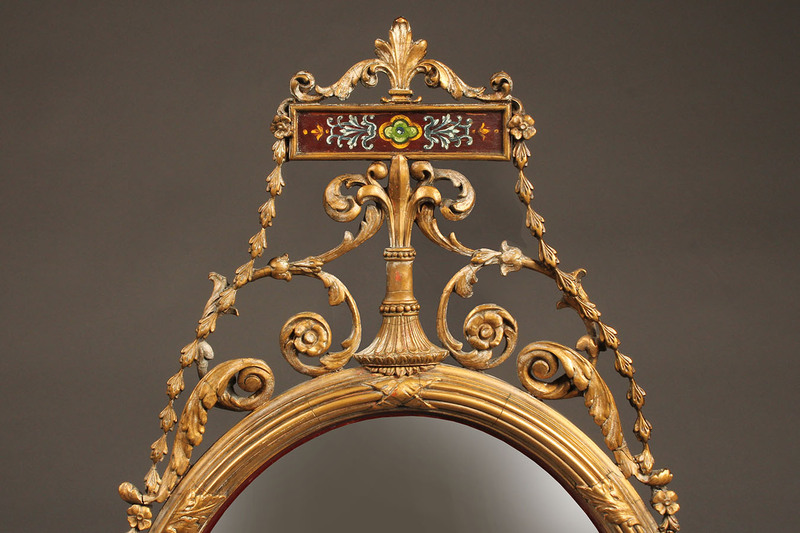 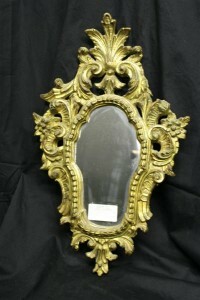 Pair of Adams style English oval mirrors with gilded finish. 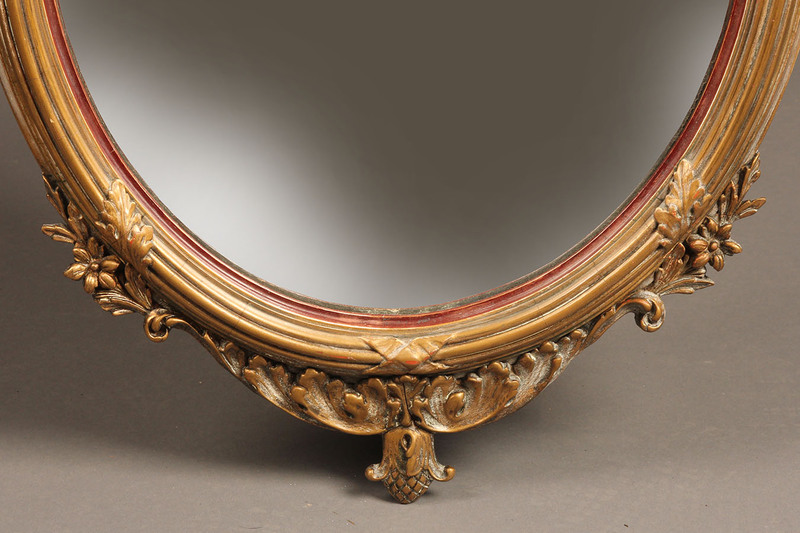 It is difficult enough to find a pair of antique mirrors, but to find a pair of mirrors in such wonderful condition and with so much delicate detail is truly a great find. This pair of oval Adams style English mirrors are absolutely charming. 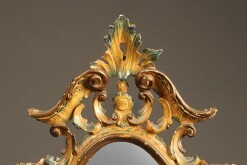 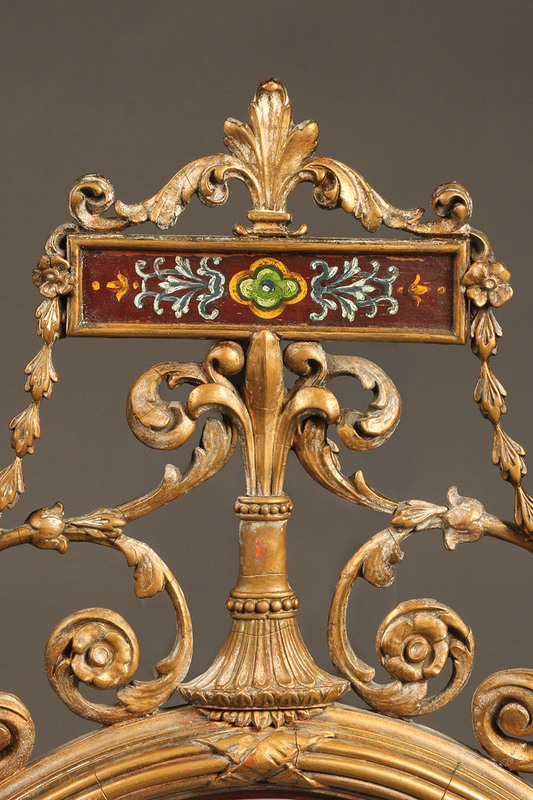 The gilded hand carvings are very fine and of a foliage motif. 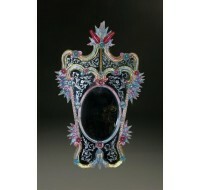 The top of the mirrors have a small hand painted design that brings a splash of color to an already beautiful frame. 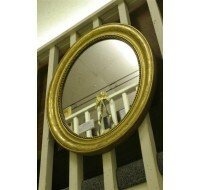 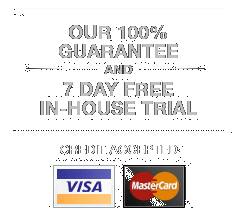 These mirrors will bring a touch of style and class to any entryway, dining room, bedroom or bathroom.